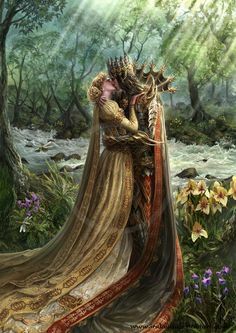 Be My PrinceJulianne MacLeanAttention one and all. His Royal Highness, Prince Randolph of Petersbourg, will set sail for London in early June and reside at St. James Palace for one full month…Some say the true motive for the prince's visit to our fair country is to seek and marry his future queen. I will therefore pose the question to our devoted and reflective readers: Who among us will be the chosen one? --From the London Ballroom Society PagesLady Alexandra Monroe has been told in no uncertain terms that she must set her sights on a proposal from Prince Randolph to better her family's situation. 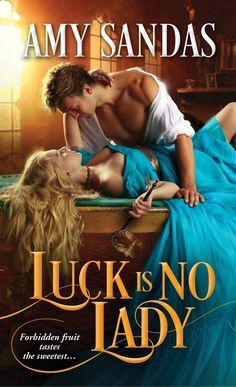 Instead, she finds herself falling for his charming but dangerous younger brother Nicholas, a man whose passionate nature--and irresistible good looks--makes it impossible to remember her duty. But while she is torn between ambition and desire, a wicked scandal brews, shocking secrets are revealed, and soon she begins to wonder: can true love really conquer all? Alexandra, after learning about her true past, she has learned of her true destiny. So out of duty and obligation she sets her sights on Prince Randolph. Even though he is attractive and charming, he is not the brother she is attracted to, because she is drawn to his brother Nicholas. A man who stirs up her senses like no other man has. Even though she knows there is no future for them, she can’t help but tremble with his kiss he gives her. Alexandra, knows she must focus on Prince Randolph, knowing that he is part of her destiny. But then she will have to make a choice, a difficult one, decide what is more important her duty to country or to fight for a life with Nicholas? I skipped part of the review layout this time due to the fact that I don’t want to reveal any spoilers for those that haven’t had the chance to read it. Before I got my hands on this one, I had heard many good things about this new series by Juilianne Maclean. I have just loved her books so far, she is such a captivating author, that draws a reader instantly into a book. Its rare for me to instantly be drawn into the story so immediately. I just loved everything about this one. At times I get nervous over reading royalty fiction. It can be hard to get into at times. However I found this one to be very refreshing at every turn. There was a intriguing plot, where it seemed to me like there was more than one climax. I really loved the variety of scenes that happen, and when you think you have seen the HEA, the story keeps continuing on and is very engaging and keeps the reader involved continually in the story. The characters seemed full of life, fresh like newly picked flowers. I loved both the hero and heroine in this one, however I think for the latter half of the story I was on Alex’s side of things to be honest. Although I did enjoy how things really work out in the end, despite the obvious game of lies and deceit. However we also see two people learning how to truly love and trust in each other I am also looking forward to reading more of this series. It definitely was a exciting adventure reading this one and am looking forward to more! Julianne MacLean is a USA Today bestselling author of over twenty historical romance novels, including The Highlander Trilogy with St. Martin's Press and her popular Pembroke Palace Series with Avon/Harper Collins. She also writes contemporary mainstream fiction, and her 2011 release THE COLOR OF HEAVEN was a digital bestseller. She is a three-time RITA finalist, and has won numerous awards, including the Booksellers' Best Award, the Book Buyers Best Award, and a Reviewers' Choice Award from Romantic Times for Best Regency Historical of 2005. She has a degree in English Literature from the University of King’s College in Halifax, and a degree in Business Administration from Acadia University. She lives in Nova Scotia with her husband and daughter, and she is a dedicated member of Romance Writers of Atlantic Canada.